The South Asian region is not only the place for fertile lands, many mountain peaks and natural beauties but also it has amazing legends of heroism and romance. According to the legends Himalayas are the homes of many gods & goddess. There are various holy places and numerous pilgrimage sites in this Himalayan regions, this is why it is also often known as abode of the god. These sacred places and holy mountains are equally valuable and respectable for both Hinduism and Buddhism followers. 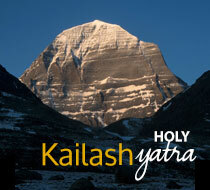 According to the myths holy Mount Kailash in Tibet is the home of Lord Shiva and Mother Parbati. Many legends and history indicates that Nepal is the land of Sita, who was married by Lord Lord Rama of Ayodhya, and birth place of Gautam Buddha who is the founder of Buddhism and known as the light of the Asia. Various Hindu and Buddhist pilgrimage sites in India stand among the major religious sites to the worshipers. Simultaneously there are many Buddhist Gompa and Stupas both in Nepal, Tibet, Bhutan and India. Hence, Dharma Yatra, as being a pilgrimage tour operator in the Himalayan countries of Nepal, India, Bhutan and Tibet has dedicated team striving to make your pilgrimages enjoyable and fulfilling. We offer value-for-money pilgrimage programs to the holy sites in the Himalayans and other religious places. Nepal has it's own uniqueness in terms of History of Buddhism as the country is birth place of Lord Buddha, the founder of Buddhism itself. Lord Buddha was born in "Lumbini" grove about 15 miles from his father's state of Kapilvastu. In the early centuries Buddhism in Nepal was most likely developed along the lines of North India. It was when Muslims invaded Bihar and Bengal in the late twelfth century that many Buddhist monks and scholars took refuge part of Buddhist art and literature. In due course of time, Buddhism became on of the main religions among the people of Nepal. Most popular buddhist pilgrimage sites in Nepal are Boudhanath and Swayambhunath inside the Kathmandu valley and Namo Buddha, Pharping, Lumbini etc. outside the Kathmandu valley. Kopan Monastery and other many monastries are the piller of Buddhism in Nepal. In the midst of Kathmandu Valley, there lies a huge temple of Hindu's most worshiped god Pashupatinath the Holiest pilgrimage of Lord Shiva. Mt. 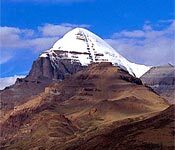 Kailash lies in Tibet near Nepal-Tibet border and it is the mountain of Lord Shiva which is considered holiest of all holy mountains. There are several holy temples throughout Nepal. Among many temples Dakshinkali and Guheswori are most famous temples regarded as Shakti-peeths and situated out of Kathmandu valley. Other important temples are Mankamana, Shaileswori, Vindyavashini, Jogeshwori, Muktinath, Damodar Kunda, Gosain Kunda etc. Such temples are usually situated on the top of a mountain. The major tributaries of holy river Ganges, which is always regarded as religiously significant by Hindus are mostly originated from the Himalayas, as it is believed a third spiritual river also joins in Triveni. Hence there are many Hindu Pilgrimage sites related to Lord Shiva, Prabati, Sita, Gautam Buddha in Nepal. © Dharma Yatra 2014, all right reserved.